Guitar lessons are on a one to one basis and are individually tailored to each student. My goal is that each lesson be both informative & enjoyable. I teach from his home studio, in sessions of 30 or 60 minutes, and it's not uncommon for these to overrun. My music taste is mostly rock, pop and blues, no doubt this is reflected in my playing, but regardless of taste or style I will give you the tools to pursue any of your own musical goals. Age is no barrier: I have taught students aged from 8 to 60, working on tracks by Mylie Cyrus to Slash to Disney musicals with very positive results. Set your own goals: Everyone has different reasons for learning an instrument, talk to me about your goals, and I'll help you reach and excede them. Why take lessons from M? - I loves playing the guitar, I started almost 25 years ago and can't seem to stop. specialising in composition & arrangement. - I have over 20 years of live music experience. - As a professional musician, I takes my musical commitments very seriously, and this includes a student's progress. - I'm local to everyone in North Lanarkshire. I can teach you to properly record your ideas via the use of DAW (Digital Audio Workstation) software. Tuition will be based around Avid’s Pro Tools, the industry standard DAW, although skills are transferable between platforms. 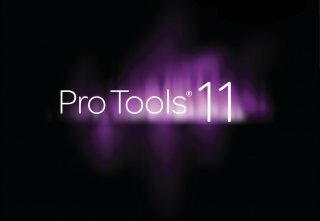 Pro Tools is used by experienced amatures and professionals all over the world at the very highest levels of the industry. Course content will run from beginning to end of the recording process, starting with capturing a sound and recording it in the DAW, then processing and mixing the sounds, to creating the final mix which can be the basis of a CD or internet download. 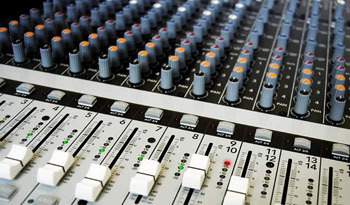 The service here is offered to individuals or groups who either wish to work in live sound or perhaps have purchased equipment required for live work, but lack the experience or knowledge to get the best from the it (a common problem with many bands), while there is no substitute for experience, a guiding hand at the outset can help someone avoid many of the potential problems that might arise. Tuition begins with capturing the source sound, then progresses on to signal flow through a mixing desk, via peripherals when required, then on to the amplification and speaker stages. Tuition will also involve problem solving and dealing with the unexpected. Tuition is tailored to the needs and desires of the individual student(s); I'm happy to work with anyone from absolute beginners to those with more experience in any area who are looking to expand or update their skills.